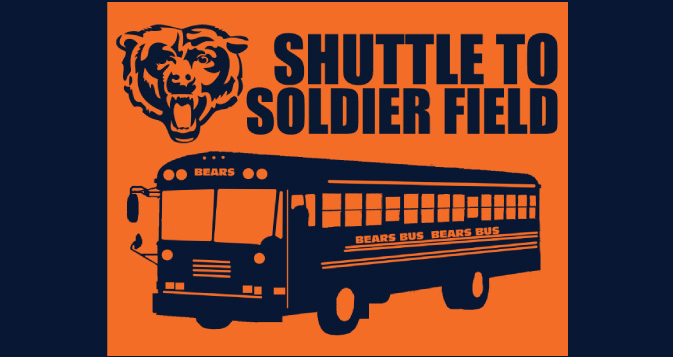 Take our shuttle round trip to all the Chicago Bears home games! $10 per person. Bus departs one hour and 15 minutes before kickoff. Includes road pops. No minors. No refunds. Online sales end at 3 hours before kickoff. Remaining tickets can be purchased in-house and are first come first serve. Doors open at 9:30am.